Just an hour or so away from Ljubljana by car, we arrived in Bled on another pristine day. 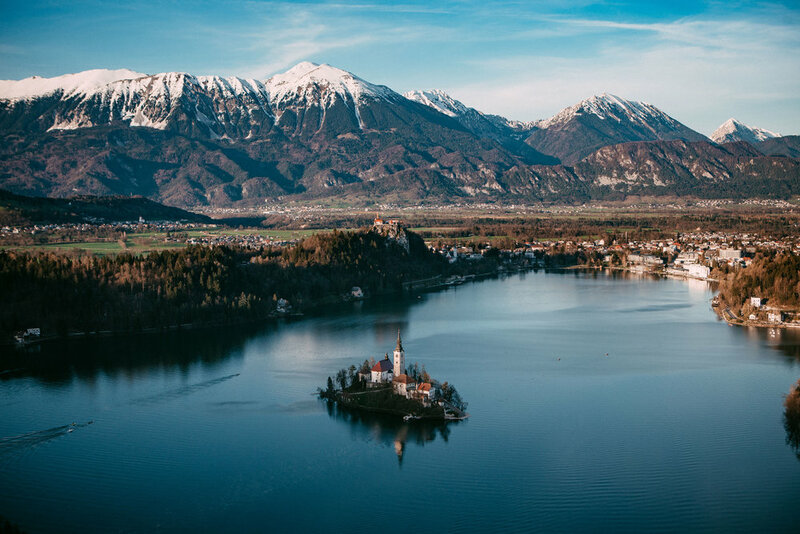 The town is a popular tourist area due to its jaw-dropping beauty; owed in part to the 17th century gothic church perched perfectly on a small island in the middle of Lake Bled. The site of this church has been settled since the 9th century, and it may once have been the location of an ancient Slavic temple. We spent the afternoon hiking around the main lake area, a nearby gorge, and finally to the Mala Osojnica viewpoint for the best sunset view over the lake. As the pictures above demonstrate, it did not disappoint.